Would Raising the Minimum Wage Help Low-Income Renters Move Out of Poverty? Many of our readers have commented on the Trump Administration’s affordable housing cuts proposed for FY 2019. A common comment is that Section 8 and other programs are cut to save billions, but the minimum wage is not being raised. It’s been the same for years but rents keep going up. What is the minimum wage and how can raising it benefit low-income renters? The minimum wage was first established in the 1938 Fair Labor Standards Act (FLSA). It was a response to the abuses of sweatshop labor during the Great Depression. Originally set at $0.25 per hour, it created a floor on wages and promoted more fair labor standards. Congress has raised the federal minimum wage 22 times since then. It was last raised in 2009 to $7.25 per hour. Many cities and states have adopted higher minimum wages. A living wage is the minimum income needed for workers to meet their basic needs or provide a decent standard of living. It generally includes the cost of food, clothing and shelter, although not usually healthcare or education costs. It is higher than the federal minimum wage in most areas. The minimum wage was not originally established to guarantee a decent standard of living but rather to curb labor abuses. It has also not increased to keep pace with the increasing cost of living, lowering its purchasing power. The Massachusetts Institute of Technology (MIT) maintains one of the best known living wage calculators. You can look up the living wage for your area by clicking on the MIT site here. Another way to think of a living wage is what workers need to earn so they can afford decent housing in their communities. This is called the Housing Wage. The Housing Wage is the hourly wage needed to afford the HUD fair market rent at 30% of a household’s monthly income. The National Low-Income Housing Coalition (NLIHC) publishes a yearly report called Out of Reach. This report provides annual updates on how much someone has to earn per hour to afford a modest apartment at the HUD Fair Market Rent for every major city and county in the U.S. There is no county in the U.S. where someone can afford the HUD Fair Market Rent while making minimum wage. Housing costs have been rising faster than inflation over the last several years. Rising costs, especially for housing, are impacting low-income households harder than others. More people are experiencing housing cost burden, where they pay too much for their housing and do not have enough to cover other basic needs. The federal standard is that if you pay more than 30% of your income for rent and utilities, you have housing cost burden. If you pay more than 50% of your income you are severely cost burdened. According to Harvard’s Joint Center for Housing Studies, more than half of all renter households in 2015 were cost-burdened. More than half of these had severe housing cost burden. There is a growing movement to raise the minimum wage to $15 per hour. 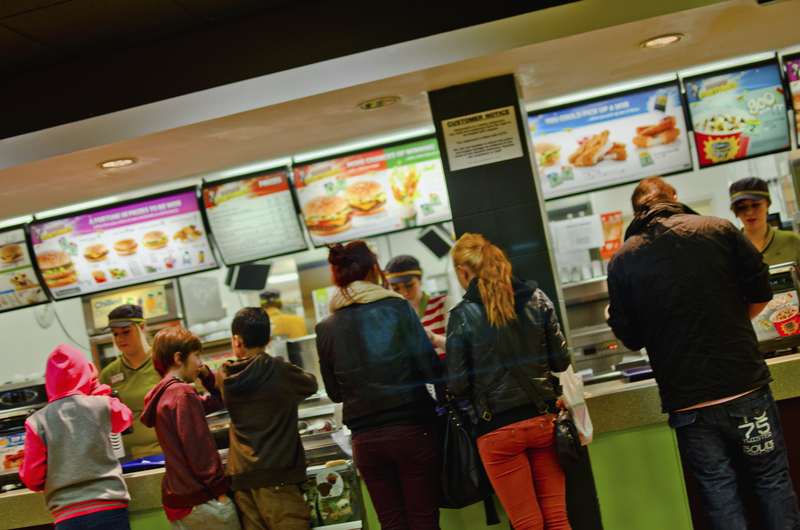 Started by New York City fast food workers in 2012, it has spread across the country. A number of cities have adopted the $15 minimum wage, especially in areas with high housing costs. Seattle, Los Angeles, San Francisco, New York City and Washington, DC, are among more than a dozen jurisdiction phasing in a $15 minimum wage over the next few years. The states of New York and California will also be phasing in the $15 minimum by the early 2020’s. Fast food employees in New York, Los Angeles, San Francisco and Washington D.C. have led the fight to significantly increase the minimum wage in America. Photo by Jon Bunting. Raising the federal minimum wage to $15 will bring it closer to a national living or housing wage. Raising the minimum wage also does not cost the federal government in program expenses or lost tax revenue. 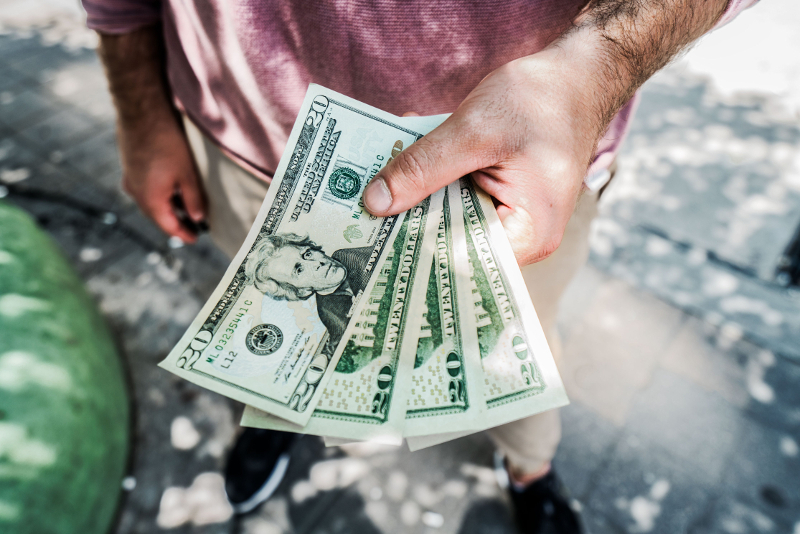 Although some studies have shown that raising the minimum wage provides some improvement in the poverty rate, other federal measures like the Earned Income Tax Credit (EITC) may likely have more of an impact in reducing household poverty. The Federal Reserve Bank of San Francisco has observed that raising the EITC would have substantially more impact on low-income households than raising the minimum wage. A large portion of workers who earn the minimum wage are either teenagers or workers bringing a second income to a household with another earner who makes more. The EITC also encourages participation in the labor force and does not promote workforce reductions. When employers have to pay higher minimum wages, they often reduce the size of their workforce. If Congress raises the EITC, higher income taxpayers are subsidizing this redistribution of income, not employers. This means employers do not have to reduce their staffing while their minimum wage workers benefit from a more generous EITC. Raising the minimum wage can improve the ability of low-income renters to afford decent homes. Expanding the EITC directly improves the incomes of poor households. Federal housing programs lower the cost of homes, the largest single expense for low-income renters. Taking action on each of these is needed for large numbers of low-income renters to move from poverty to prosperity.